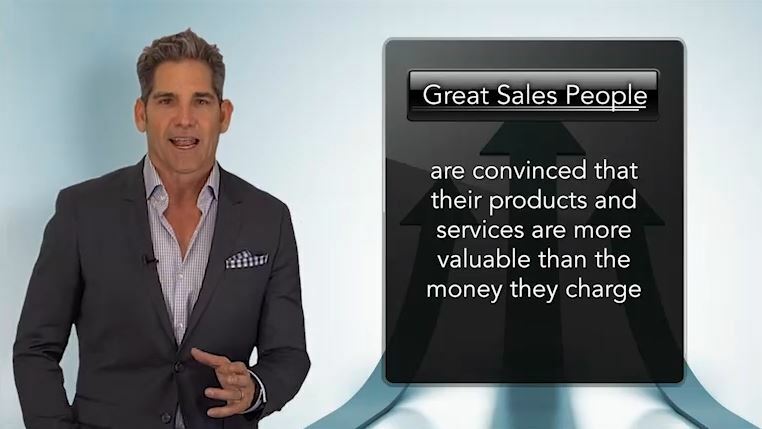 The GREAT salespeople know how to hold more gross profit because they are convinced that their products and services are more valuable than the money they charge. The first and most important step in how to hold more gross profit is to become completely convinced. “Maybe even brainwashed” Grant says. Convinced that what you do and what you sell is WAY more valuable than the money you’re asking for. The GREAT salespeople become fanatical about the value of their product, near levels of insanity, over the top, all in on getting their product or service into the marketplace. The GREAT salespeople are thinking, you have to have this product regardless, no matter the cost, no matter what. The GREAT salespeople are what? They Are SOLD! They have a completely different view of their products in comparison to the people they compete with and the average and under performers in their own company. The GREAT salespeople know and believe that their product is worth significantly more than what they’re asking for it and that it’s also worth more than anything the competition could ever offer. When you have the best, you don’t have to compete on price. GREAT salespeople don’t’ even consider price to be a valid objection. GREAT salespeople compete on one thing: VALUE. What’s your VALUE proposition? In your mind, does your value proposition outweigh everyone else? Additionally, why? WHY does your value proposition outweigh everyone else? Are you, your sales team or your company are trying to figure out how to hold more gross profit? You have to get everyone crystal clear on what the value proposition is, how it outweighs everyone else and why. You can start working on this by digging into Cardone University and Grant’s book, Sell Or Be Sold. Grant will coach you through how to get clear on that VALUE proposition and your why. He will show you exactly how to use the value proposition. That way you can figure out for yourself how to hold more gross profit. ← Previous Previous post: What are your customers worth?